Earn your Teacher Leadership Graduate Certificate online. You already have a master's degree in education, but you're ready for more. 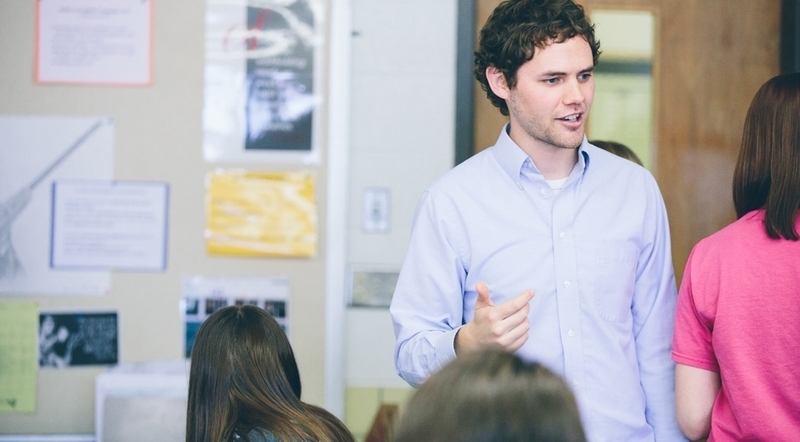 Northwestern's graduate certificate in Teacher Leadership is designed for teachers who want specialized, graduate-level training. Our 12-credit graduate certificate will position you for promotion to non-administrative or district-level roles such as instructional coach, peer mentor or teacher leader. Courses focused on needs-assessment, solutions-based coaching and professional development will prepare you to affect changes that lead to better teaching and learning. It's more than a lane change. 100% online. 8-week courses. Self-paced. Earning graduate credits doesn't have to cost you time away from your other responsibilities. Northwestern College's online Teacher Leadership Graduate Certificate means you can take classes and complete your coursework whenever it's most convenient for you. Take one online 8-week class at a time, completing two classes each semester, and you'll earn your certificate in less than 1 year (2 semesters) and be eligible for financial aid. 3 credits) Instructional coaches are on-site professional developers who teach educators how to use proven instructional methods. To be successful in this role, coaches must be skilled in a variety of roles, including public relations guru, communicator extraordinaire, conflict resolver, master organizer and expert educator. In this course students will study factors related to professional learning and hone their ability to improve academic outcomes for students through supportive peer coaching relationships. Prerequisite: completed bachelor's degree in education. (3 credits) Learn to use professional learning communities to unify teachers and administrators around a shared vision for student and school growth. This course will equip you to form a PLC, evaluate baseline data, create a plan, and develop professional development to prepare teachers to implement the plan. Prerequisite: completed bachelor's degree in education. 3 credits) This course prepares participants to transition from classroom teachers to teacher leaders within their school and district. Through the lens of practical application, students will examine effective leadership theory, the culture of their setting, and their personal strengths and needs to leverage leadership that will drive positive change. Prerequisite: completed bachelor's degree in education. (3 credits) Use the constructs of adult learning and professional learning communities to develop a coaching relationship with peer teachers that will support their integrated use of technology to improve student and school outcomes. Prerequisite: completed bachelor's degree in education.